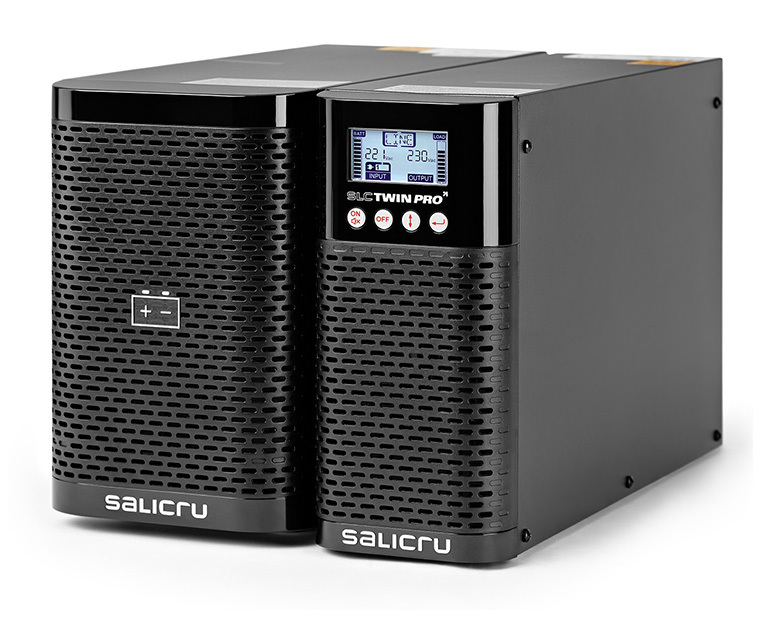 SALICRU’s SLC TWIN PRO2 series is a UPS range in a tower format equipped with on-line double-conversion technology and the latest features to make it an advanced protection system for sensitive and critical loads. 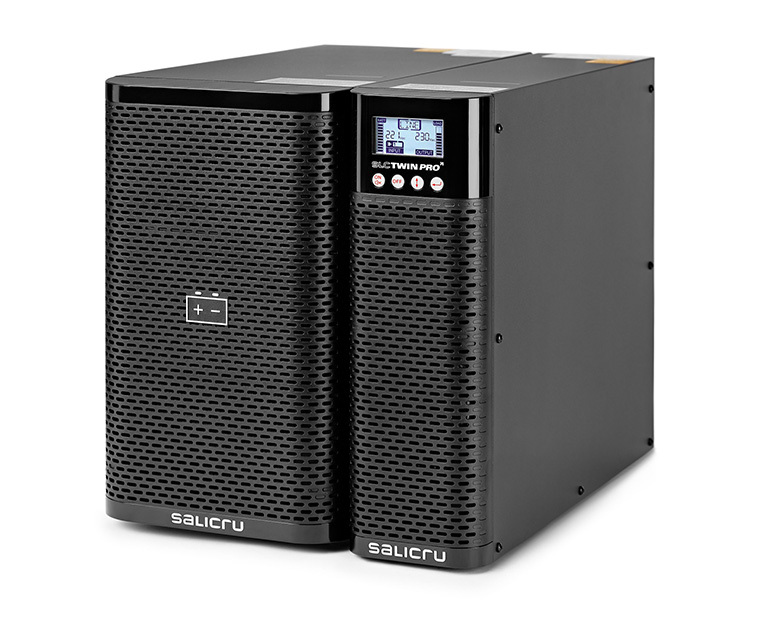 High output power factor (PF=0.9) to ensure availability to all types of loads. Full control through status information via LCD display and keypad. And extensive monitoring and communication options via the built-in USB HID interface, an intelligent slot for SNMP cards or relays and a wide range of software packages available – free monitoring version downloadable for Windows, Linux, Unix or Mac and packages available for multi servers or virtualised systems. 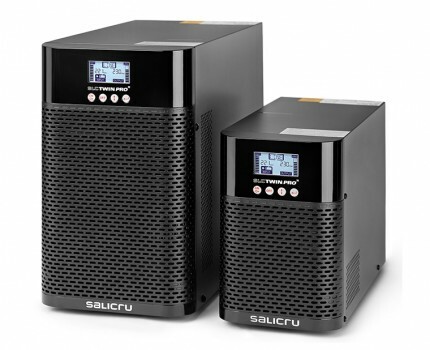 For facilities that require more back-up time, there is a possibility of backup extensions using UPSs with extra charger and additional battery modules. 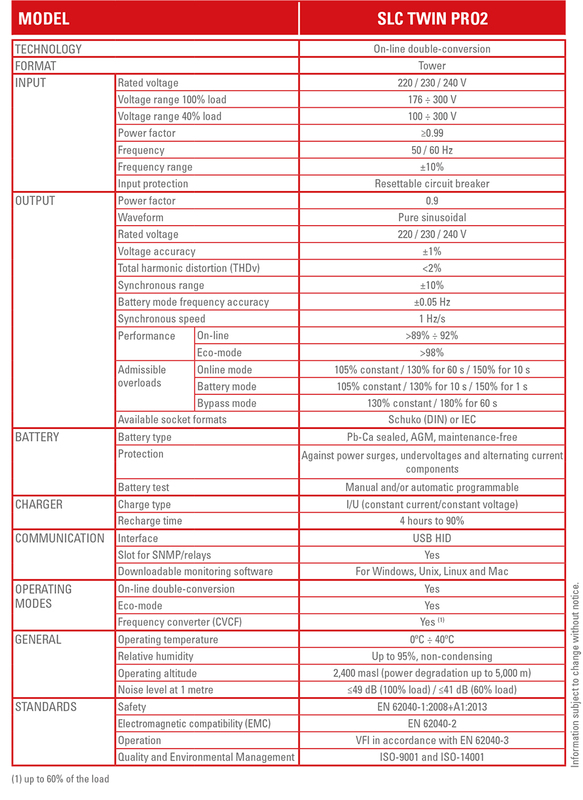 Also notable is the possibility of Eco-mode operation to improve the efficiency of the device, EPO (emergency power off) functions, operation as a frequency converter and built-in battery test. 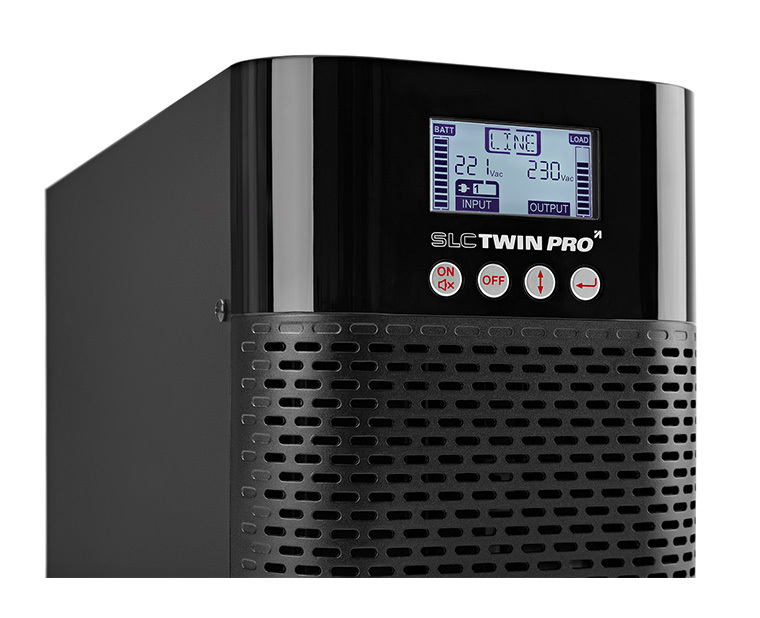 SALICRU’s SLC TWIN PRO2 range is available in power ratings of 700, 1000, 1500, 2000 and 3000 VA.
Control panel with LCD screen and keypad. 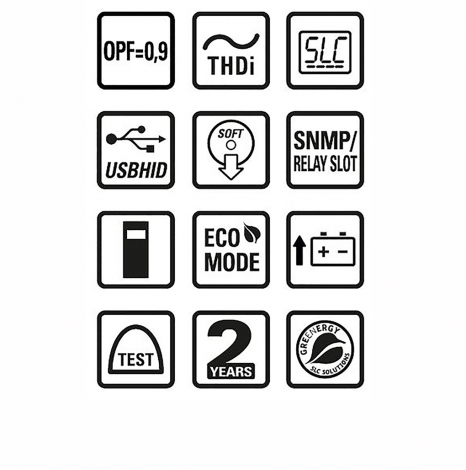 USB HID interface for all models as standard. Downloadable monitoring software for Windows, Linux, Unix and Mac. Frequency conversion function. EPO – emergency power off. 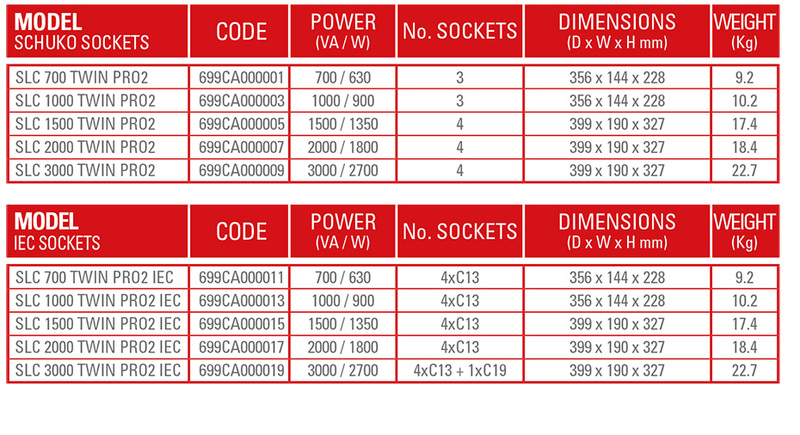 Schuko or IEC sockets available. Manual and/or automatic programmable battery test. 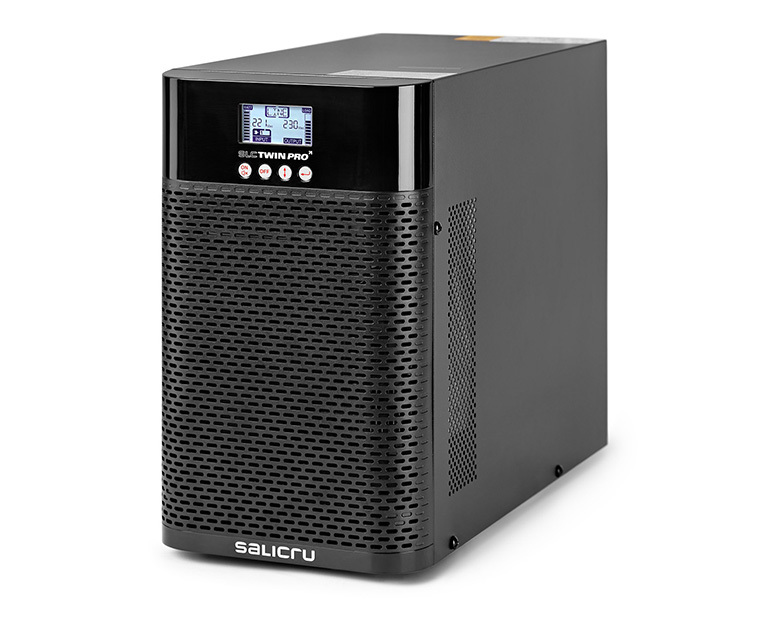 Smart battery charger to shorten average recharging times. Battery recharging with device turned off. USB HID UPS: Enables control, parameter configuration and computer shutdown/ hibernation via the USB port. Available with Windows, Linux for Mac. UPS monitoring and management software for closing files/applications in Windows, Linux, Unix and Mac environments. 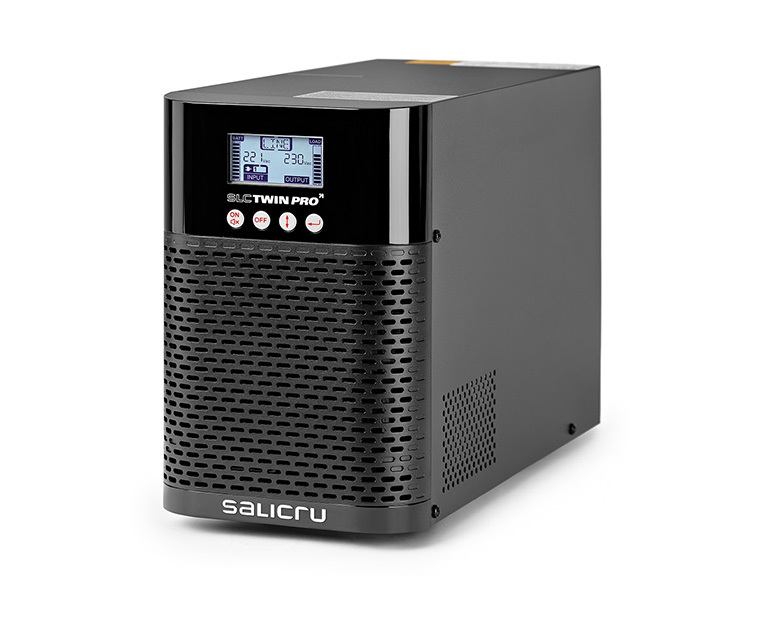 Free and downloadable from www.salicru.com. Intelligent slot for connecting SNMP or optocoupler cards. Batteries covered by the warranty. RS-232 card which doubles the existing communication port in the equipment as well as the dry contacts too (relays).